Solid and subtle with a light touch, Carlyle occasional tables bring classic flare to a contemporary environment. The gentle curves of the top float gracefully over the clean rectilinear frame. 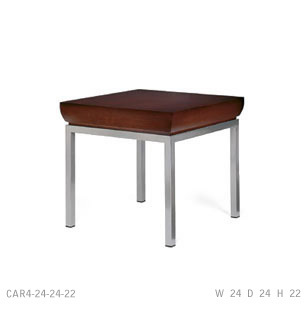 Carlyle occasional tables are complemented by the Carlyle lounge series.